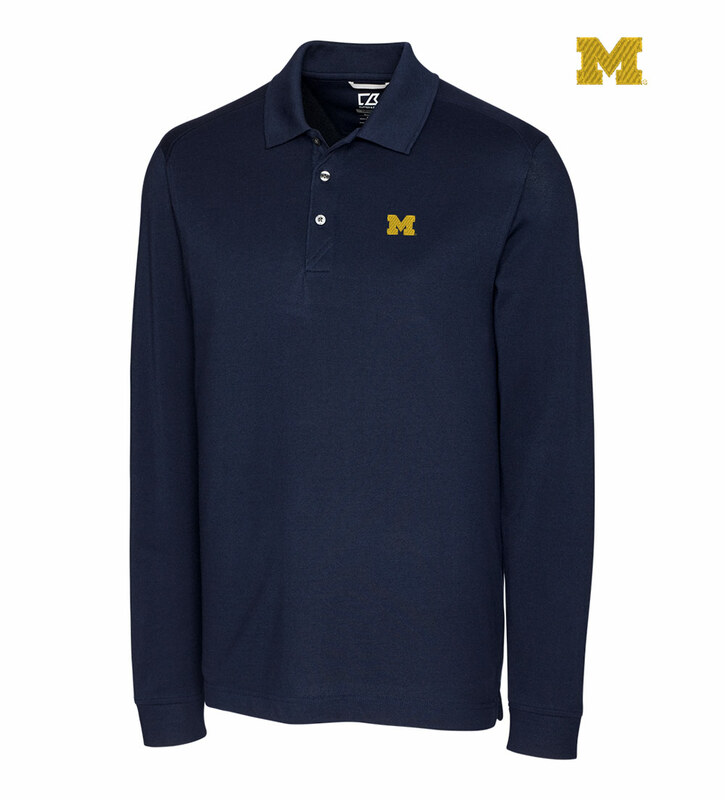 Cutter & Buck makes it easy to show your support for the Wolverines, while keeping keeping pace with your active lifestyle. This long-sleeve solid polo shirt features an officially licensed embroidered University of Michigan logo on the left chest. The DryTec Cotton+ fabrication delivers a soft hand with a touch of stretch, plus moisture management and UPF 35 sun protection. 55% cotton, 42% poly, 3% spandex. Machine wash. Imported.